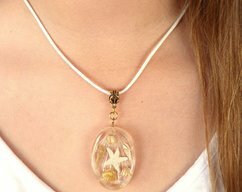 A beautiful resin heart pendant with glimmering white and gold sea shells. This necklace is a true piece of statement jewellery to complete your perfect beach wedding. It is also a simple but elegant design which would dress up a casual outfit. 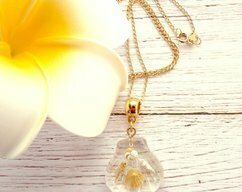 This necklace would make a gorgeous beach lovers gift or simply a treat for you. 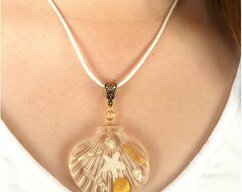 This heart resin pendant is created with the lines of a sea shell to form a striking backdrop to the tiny handmade polymer clay shells embedded inside. The tiny shells are filled with mica so they glimmer in the sunshine. 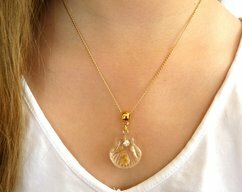 The pendant is suspended from an tear shaped gold-plated filigree bail. 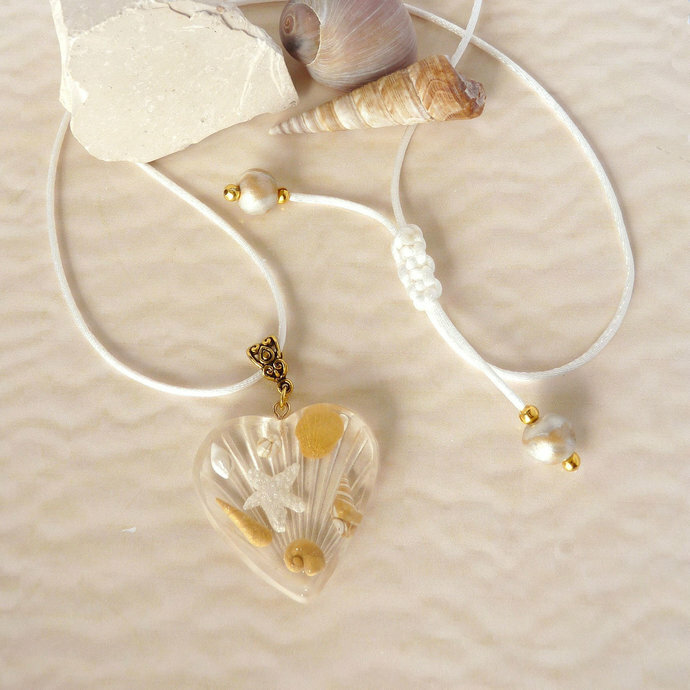 The adjustable necklace is white soft satin rattail finished with white and gold swirled beads in a design matching the sea shells. IMPORTANT: I make a limited number of each design, but as each piece is individually created there will be slight differences between individual necklaces and the example photographed. NB: All gold-plated findings have all been treated to reduce their risk of tarnishing and a piece of tarnish preventing paper is taped into each jewellery box to reduce tarnishing as well. *	CARE - Both polymer clay and resin are strong, but it can be easily scratched or broken if dropped or knocked against hard surfaces. Both can be washed gently in water with soap but do not soak in water for long periods of time and do not expose to long periods of sunlight as it may discolour the resin.